Design patterns are optimized solutions that can be reused on everyday programming problems. They are not classes or libraries that we can connect to our system. Neither are specific to a programming language. A design pattern is a description or template for how to solve a problem that can be used in many different situations. Patterns are formalized best practices that the programmer can use to solve common problems when designing an application or system. Structural patterns usually create relationship between entities, making them easier to work together. Creational patterns provide instantiation mechanisms (creates the object instances of a class); therefore, they facilitate the creation of objects in the way that suits the solution. Behavioural patterns are used in communication between entities. They make the communication between these entities easier and more flexible. 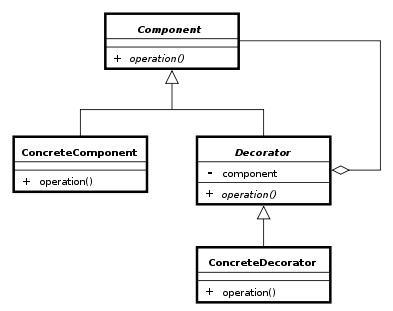 I’m going to introduce the, in my opinion, most common Design Patterns used in PHP programming language, 3 Structural patterns (Adapter, Decorator, Front Controller), 2 Creational patterns (Factory, Singleton), and 3 Behavioural patterns (Strategy, Observer, Chain of Responsibility). 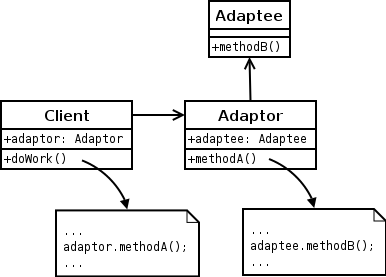 The Adapter Pattern is an structural pattern which converts the interface of a class into another interface that clients expect. An adapter lets classes work together that could not otherwise because of incompatible interfaces. The enterprise integration pattern equivalent is the translator. In case we have a class with a specific functionality, and we have to use that functionality in another class with different parameters. Then, following the Adapter pattern, we could create an adapter class that uses the previous classes and returns the information in the given format. The Decorator Pattern (also known as Wrapper) is a structural pattern that attaches additional responsibilities to an object dynamically keeping the same interface. Decorators provide a flexible alternative to subclassing for extending functionality. The Front controller pattern is a structural pattern which provides a centralized entry point for handling requests. Front controllers are often used in web applications to implement workflows. While not strictly required, it is much easier to control navigation across a set of related pages (for instance, multiple pages used in an online purchase) from a front controller than it is to make the individual pages responsible for navigation. This script, for example an index.php, would handle all tasks that are common to the application or the framework, such as session handling, caching, and input filtering. The Factory Method is a creational pattern that defines an interface for creating a single object, but lets subclasses decide which class to instantiate. 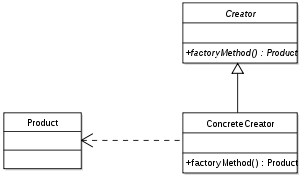 Factory Method lets a class defer instantiation to subclasses (dependency injection). Imagine we have to create a variable number of objects without having to know the details of how they’re created, or what their dependencies are – they only have to give the information they actually want. Singleton is a creational pattern which ensures that a class has only one instance, and provide a global point of access to it. The Strategy pattern is a behavioural pattern that defines a family of algorithms, encapsulates each one, and makes them interchangeable. Strategy lets the algorithm vary independently from clients that use it. Imagine that you have a class that can calculate something in different ways. Then you need exactly the same parameters, but depending on the situation you need two different functions. You could specify the strategy or context into the class and let the context inside the class to decide what to do. The Observer Pattern (also known as Publish-Subscribe Pattern) is a behavioural design pattern which defines a one-to-many relationship between objects such that, when one object changes its state, all dependent objects are notified and updated automatically. The Chain of Responsibility is a Behavioural pattern which avoids coupling the sender of a request to its receiver by giving more than one object a chance to handle the request. Chain the receiving objects and pass the request along the chain until an object handles it. The Chain of Responsibility design pattern is used when you need a request handled by the most appropriate object for the request. You don’t need to worry about which object handles the request or even if they’ll handle it the same all the time. Make sure you follow the KISS principle “Keep it simple, stupid” when applying one of this patterns. Using a design pattern in the wrong context can potentially make things worse. But if you use them correctly, they can be your savior.